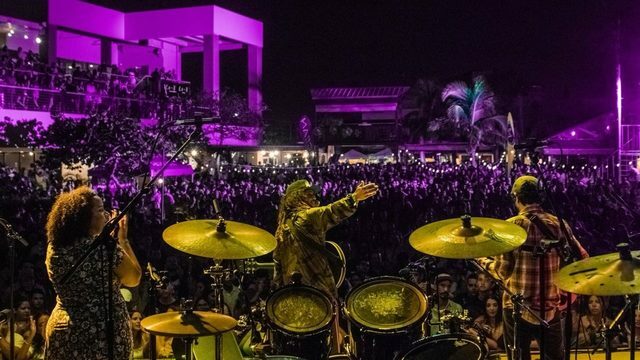 The event and concert industry in Puerto Rico brings millions of dollars to the economy due to the number of events and entertainment alternatives that are available to the public. In fact, according to a study commissioned by the Public Producers Association of Puerto Rico (COPEP), between 2011 and 2015, the economic movement reached $701.7 million on the Island. the industry has maintained its peak with new events and concerts. In that sense, despite the economic contraction, the industry has maintained its peak with new events and concerts. In a competitive world, for the producers and organizers of activities to achieve success, they must have the necessary tools to disseminate and manage their event. It is because of this need that Fangig was born, a company that has innovated the way in which tickets are bought and sold on the Island. “Our focus was always on improving the customer experience through the development of technology, so we created our own code with Puerto Rican talent that better understands the taste of the local consumer. There are many platforms available that allow anyone to open a box office, but none offered what we wanted, so we proceeded to create ours. For example, with Fangig you could buy and redeem tickets through your mobile phone since more than three years ago, something that is just starting to become available now globally on other platforms. For us it was such a simple concept: If the world navigates more and more through cell phones, we will make the process as easy as possible”, explained José Franceschini, CEO of the Puerto Rican company Fangig. 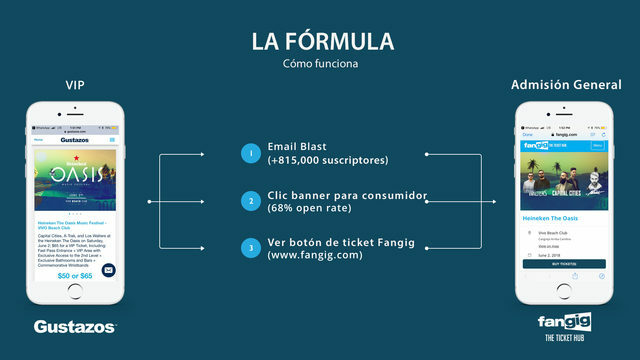 Another distinction of Fangig is that they proactively market events using their internal database in combination with the database of its sister company, Gustazos.com. Due to this, Fangig has the ability to reach via email about 1 million people in Puerto Rico, this represents almost half the country’s internet users. This massive scope allows producers to use Gustazos to sell exclusive VIP tickets and Fangig for general admission tickets. This has proven to result in great success in Vivo Beach Club, which in a short time has managed to capitalize, by effectively promoting the events digitally, adding a new channel to reach the public. “The idea is that with this integration we offer promoters a powerful combination to expand their reach with digital strategies, offline strategies such as billboards and others. 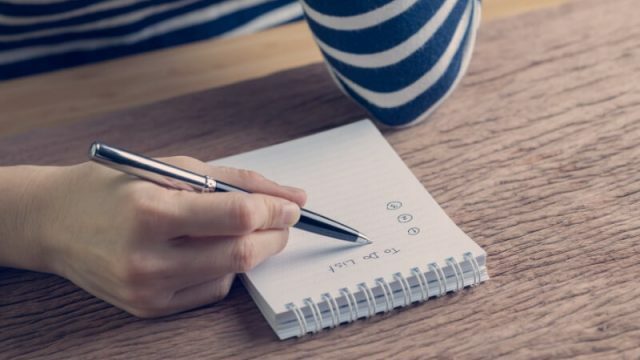 Once we attract the user, the experience is transparent and simple, which helps close the sales agilely and effectively”, said José Villares, CRO of Fangig. The Fangig formula has generated interested from several producers of massive events on the Island. One example is the Buena Vibra company, producers of the Life in Color and Electric Holiday festivals, where artists such as Deadmau5, David Guetta, Skrillex, Bad Bunny, Marshmello, Cultura Profética, Hardwell, Major Lazer, among others, have performed. We choose to use Fangig since they add value to the consumers experience. “Buena Vibra is an agency focused on experience. We choose to use Fangig since they add value to the consumers experience. For us, the experience starts from the moment you buy a ticket, and there is no other box office platform that has this in mind. Apart from the technical capacity of the platform, for selling thousands of tickets simultaneously, the consumer experience is intuitive and easy to use”, assured Max Pérez, Buena Vibra Group partner. 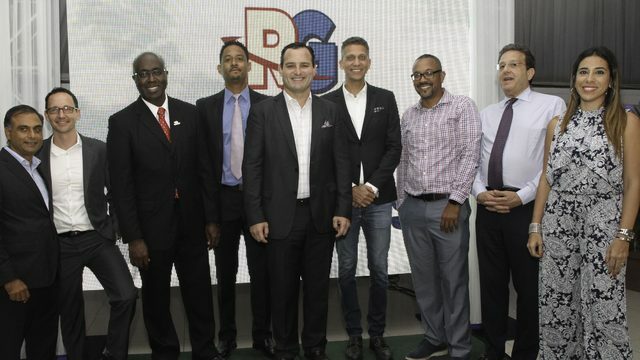 Fangig currently also operates in Jamaica, being the second Puerto Rican ecommerce platform to expand to this Caribbean country, after Gustazos opened the way 4 years ago. “As we continue to move towards the digital future, ticketing box offices won’t be able to simply have tickets available for sale, they will have to actively help the promoter to sell, and this is becoming more and more present in our market.” said José Villares, CRO of Fangig.